After posting my former blog I got some questions on how to deploy the Stack and where to tweak this. Well it is easy if you know the PDT kit. 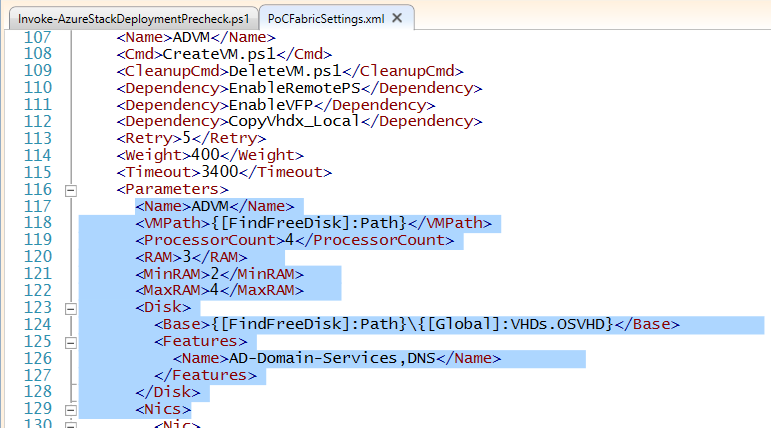 in the MicrosoftAzureStackPOC.vhdx are all the scripts during the deployment this disk will be mounted as source So changing files you will need to mount this disk and edit the files before you do the deployment. 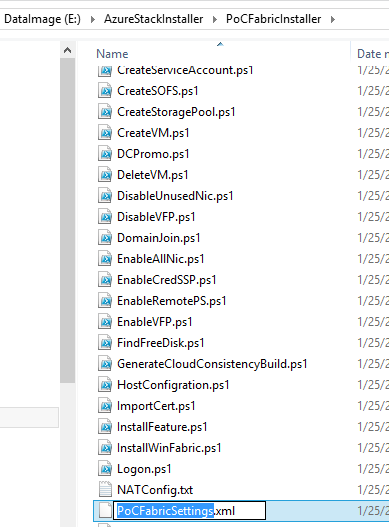 in this case I added the “ file backed Virtual” for using local VHD files. Or change the Memory check set this to 32 GB if you want or to 8 <> Remember this is only to pass the validation changing this could fail the installation. Or if one Nic is no option in your config. 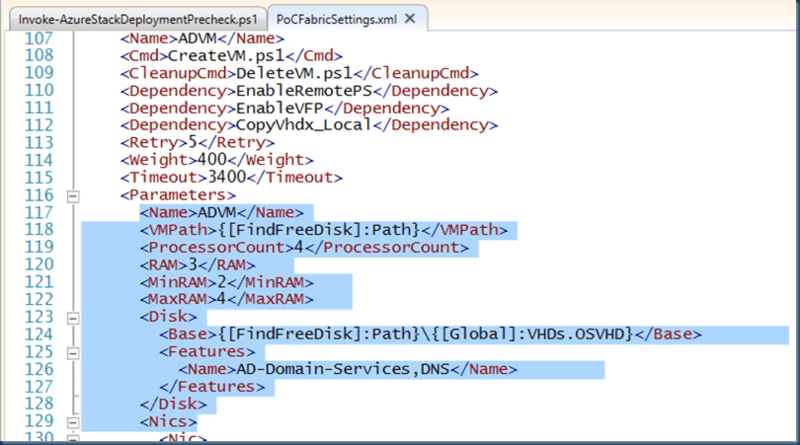 In this PoCFabricSettings.xml are all the settings CPU / Memory / Naming you can all change this here but remember it could fail you installation handle with care. I must say the scripts are great but not a lot of flexibility it takes some testing just to make sure it all worked. I played on a HP blade G9 with SSD’s so running the setup doesn’t take that long but still playing with this kills the day. there is no 10 minute fix troubleshooting takes time. 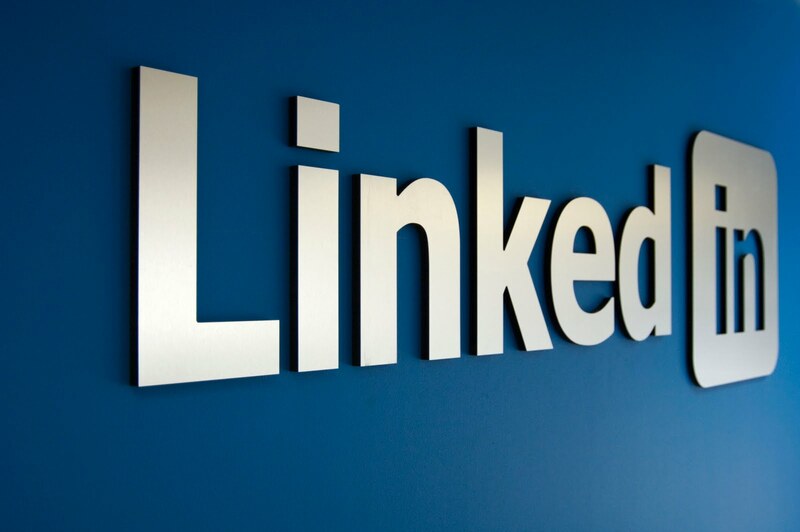 checkout this forum link to support others. 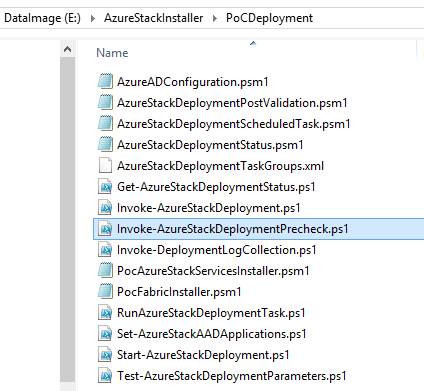 Playing with the AzureStack deployment is no picknick there is a Pre-check but you must have the perfect machine to deploy the Azure Stack Bits. So I tweaked the scripts a bit. this is the logical architecture of the Azure Stack POC and its components. all running on a single Hyper-v host. But even then something can go wrong. As shown below some errors are highlighted. 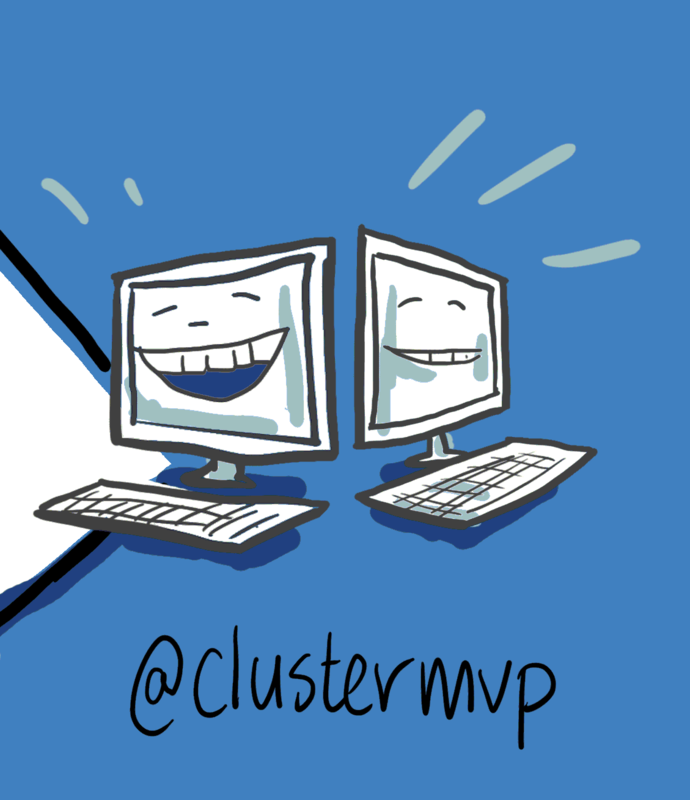 Welcome to the Microsoft Azure Stack POC Deployment! All of the prerequisite checks passed. Please sign in to your Azure account in the Microsoft Azure sign in window. But after Concurring All the Pre-Requirements you are ready to go Or not ? 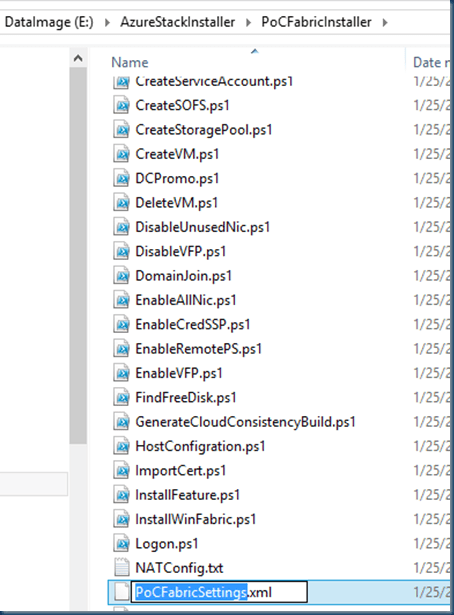 This seams an updated Powershell module is in place and I have a bug in my build. After some digging in the Powershell modules I managed to fix this. 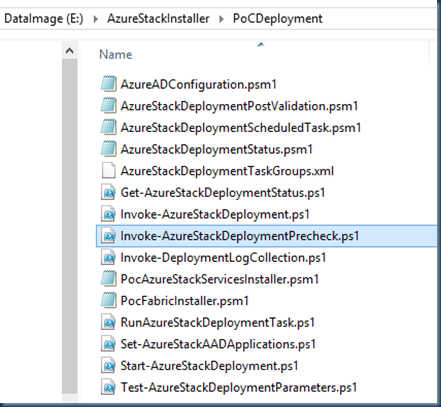 Microsoft Azure Stack POC is ready to deploy. Continue? I must say the scripts are awesome lots of handy stuff in there. I did the Next Next Finish setup to see what I could expect and how to Build this in a not default environment. SO no single server.